We founded EventsFrame after our endless search for an awesome event ticketing and attendee management system. We started as many people do with Eventbrite and after racking up fees to Eventbrite of over $6000 a year for a pretty average product we started to plan our own system. That system became EventsFrame…. Quite simply the best way to sell tickets and manage attendees for any event producer, big or small. So what were the three BIG problems with Eventbrite that lead us to develop our own system? Here you go…. It boggles the mind but Eventbrite is still getting away with charging 99c plus 2.5% of your ticket fee! Now here is the problem.... Most other ticketing companies base their pricing off Eventbrite as it’s what they feel they can get away with. We can tell you categorically there's not much more work involved to process 5 tickets compared to 50 so why charge more? This was a fundamental founding principle for us. Unlimited events and unlimited attendees for one low monthly fee. Take a look at an Eventbrite event and scroll to the bottom of a page. These are your competitors events listed on your page! We go for a completely different approach. Your site is to promote your events only. Our landing page builder has the best SEO optimization out there and that’s what you need to promote yourself. Sure you can create multiple events on Eventbrite but there's no overall reporting across multiple events. You need to click into each event individually to see event details and attendee info. 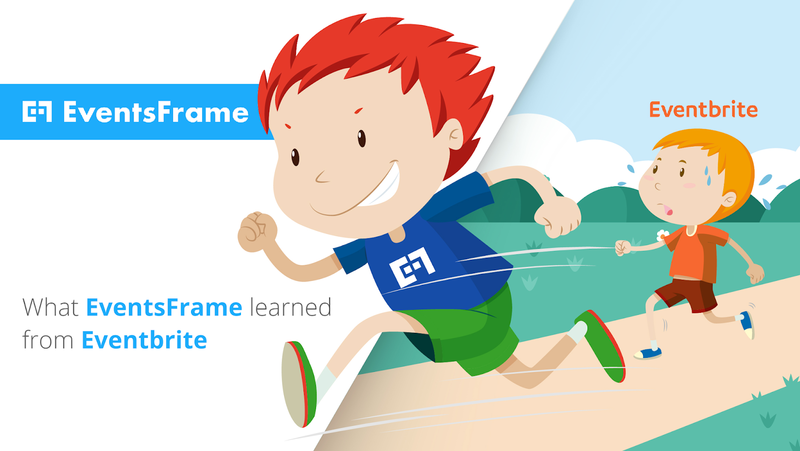 EventsFrame was built from the ground up to suit people running multiple events per year. Everyone starts with PayPal but if you run a lot of events eventually you graduate to Braintree or Stripe to save a fortune on fees. From day 1 of EventsFrame we supported PayPal, Stripe, Braintree and Bank Transfer. Make the switch today! Sign up at https://eventsframe.com/ for a 30-day FREE trial. Email dan@eventsframe.com with the subject line ‘EB-BLOG’ for a special discount code.